The Coalition to Stop Violence Against Native Women partners with the local, Native-owned book stores every holiday season for our annual “Little One Book Drive.” It is an opportunity to call on our relatives to help children who have experienced or witnessed violence cope through connection and storytelling. Each year, the Little One Book Drive benefits children who will spend the holidays in a shelter due to domestic violence. 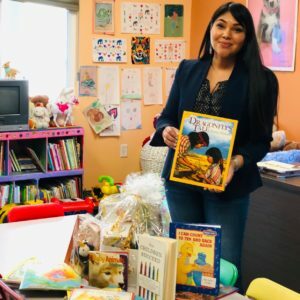 Since its inception, CSVANW has raised more than 700 new Native American themed books for shelters throughout New Mexico. Providing books for children and their families helps create a sense of normalcy. Alongside our community donors, we are giving children an escape from any trauma they may have been exposed to while directly or indirectly witnessing violence in their homes. Studies show that children who witness violence in their homes may exhibit adjustment difficulties. These children also often have lower self-esteem and are prone to anxiousness, worry and fear. Reading provides a safe escape for them and an opportunity for connection. The simple act of reading a story where a child may identify with the protagonist begins a healing process. 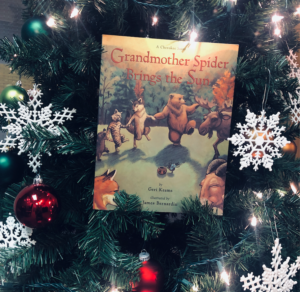 We specifically partner with local Native-owned book stores because they are able to provide culturally-relevant options for our young readers. Help us build a stronger community this holiday season. Donate today. There are 2 ways to donate.